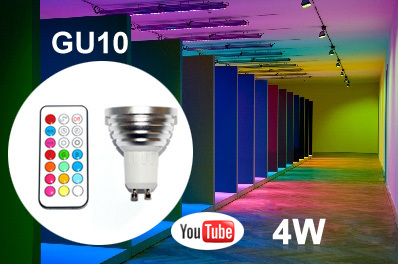 The Multi-Colour LED Lightbulb is a super bright LED bulb that can transition through dozens of colour and brightness combinations and is compatible with a standard lightbulb socket. 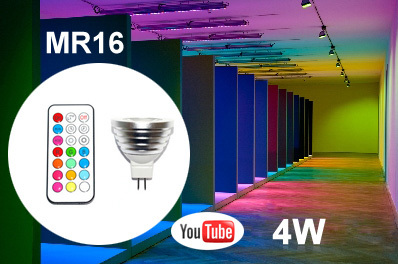 The included IR remote can select an individual colour or brightness level or choose one of four different transition effects. Great for mood lighting, decorating, parties or special lighting environments. Bulb Dimensions: 65mm length x 50mm dia.